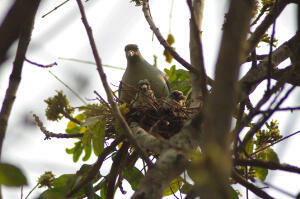 Watching this Green Pigeon sitting on her eggs. Then the Male not far away watching and dubble the female size. Two baby pigeons was born. Happy day indeed .